I can't believe it's July already! That means it's hot and humid enough here in NJ (most days) to have a very valid excuse to sit inside and sew. 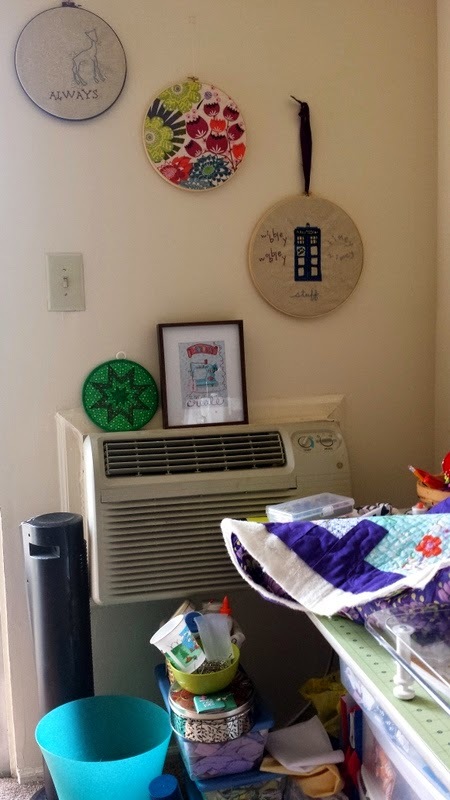 :) I am lucky to have a great air conditioner in our living room area but it's right next to my sewing area, which makes for a very cold sewist. I can often be seen in pajamas with fuzzy socks and a cardigan or hoodie on as I sew away (and watch season 5 of Parks and Recreation). The Lantern quilt has a background of Kona Purple, which is much darker than it's photographing... hm. Anyway, this week, I'm rushing to finish my Good Fortune lantern quilt, which is on my FAL (Finish-A-Long) Quarter 2 list (the linky just opened!). I have 4 more days to finish it; quilting should be done today and then I'll bind either tonight or tomorrow. Maybe I'll have a finish post on Friday? In terms of the month that has passed, I'm very happy with all that I got done! 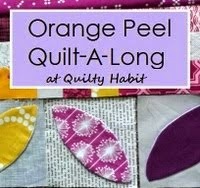 The Orange Peel QAL just started! 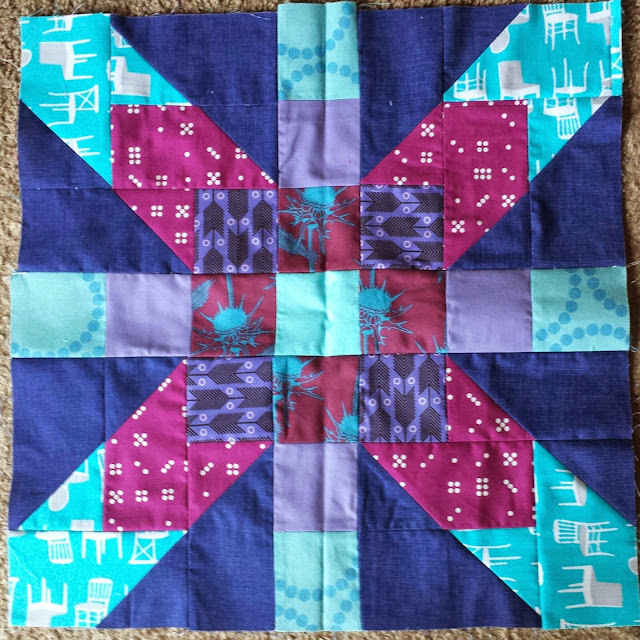 Check out all the info and the first post about designing your own quilt. Don't forget to share some of your sketches with everyone! I'm so excited to get started on my baby quilt. 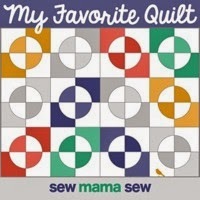 I curated the My Favorite Quilt series at Sew Mama Sew for the month. It was a lot of extra work but I really enjoyed working with SMS and all of the fabulous featured bloggers. I hope everyone enjoyed reading interviews about the favorite quilts! I registered for QuiltCon!!! P.S. Did you see my friend Ashley's post about this? Too funny. I finished my Michael Miller Challenge quilt with time to spare! The deadline is July 25. I also posted some tips for sewing with curves. I gifted this quilt already at a baby shower and my friend loves it! I can't wait to see a picture of it with her newborn baby boy! I got my Progressive Quilt back! I'm going to get to this one soon, but there are a couple of other quilts that need to be backed and quilted first. I'm thinking about submitting it to QuiltCon. I started the Supernova Friendship Swap with Karin! More on that soon - I still need to share Karin's block and the block for July. Okay, so bring on July! It's going to be a productive month on the sewing front! 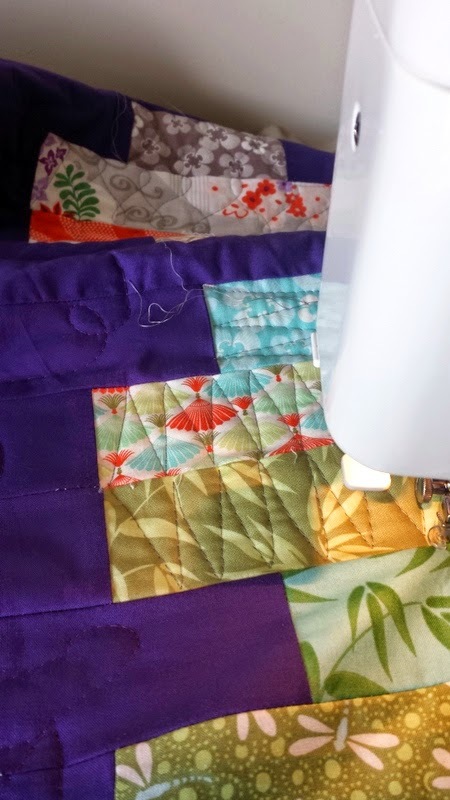 Linking up to WIP Wednesday @ Freshly Pieced and Fresh Sewing Day @ Lily's Quilts. That purple background looks Amazing with the Good fortune. Lovely work! You are one busy bee! I'm really hoping to get some orange peeling done, but I have to be realistic about my time in the summer when the kiddos are gone. And I can't say enough good things about the My Favorite Quilt series. Your work was so worth it. 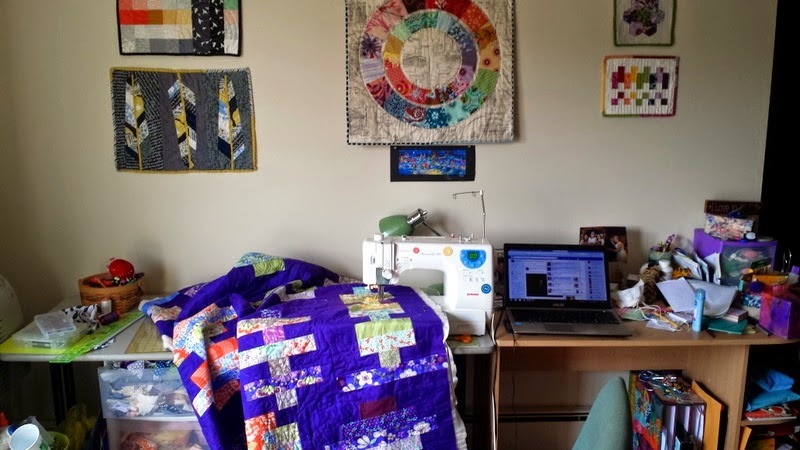 It was such a great read and a peek into the minds of some of my favorite quilters. I'm hoping to see lots more of you soon! Yaaay you're almost done! Hurry with the binding! Every time I see one of your curved piecing I hope you're making the moon phase quilt, I still think about it all the time...might have to make one of my own... DO submit that quilt! I would love to see it again all quilted and grown up!